Spring is fast approaching, and every blade of grass that pops up from beneath the melting snow entices the barbecue connoisseur to pull out their grill and fire it up. But with so many grilling cookbooks on the market, it may be difficult to find the right one to suit each master griller’s needs. So, here are some of the top healthy and vegetarian cookbooks, and a few just for the boys. Taste of Home is a beloved collection of home made recipes from regular folks like you and me. These 343 grilling recipes have all been tested at home in kitchens across America. 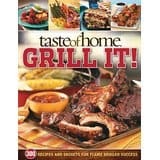 For flame broiled goodness you can easily make at home, try the Taste of Home cookbook. 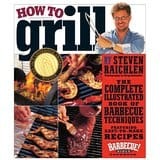 A full-color, photograph-by-photograph, step-by-step technique book, How to Grill gets to the core of the grilling experience by showing and telling exactly how it’s done. With more than 1,000 full-color photographs, How to Grill shows 100 grilling techniques. Similar to the Joy of Cooking for grilling, this hardcover Bible of tested grilling and barbecue recipes are sure to impress! 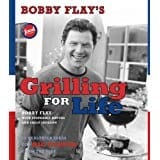 Their over 300 illustrated step by step guide to grilling the best meats and veggies will walk you through every aspect of grilling, so you not only know how to make a recipe, but understand how barbecuing is different than other types of cooking, so you can make your own creations. 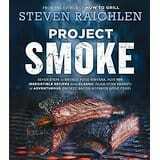 This guide to cold smoking, hot smoking, and smoke roasting by Steven Raichlen covers everything you need to know including reviewing the various smokers, how each type of wood infuses its own character into the food, along with rubs, marinades, and barbecue sauces. 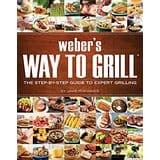 Weber’s Way to Grill is a how to cookbook showing you the art of grilling with full color photographs to walk you through each step of the grilling process. 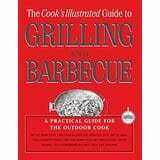 It also includes hundreds of delicious and mouth-watering recipes for every type of grilled food, including dessert! Dadgum That’s Good. . . and Healthy! : Lightened-up Favorites for Smoking, Frying and Grilling! If you’re ready for a healthy alternative to standard grilling, then this 125 recipe cookbook will do just that with tips and techniques along the way to reduce calories and fat in all your grilled meals. And each recipe comes with complete Nutritional Information. 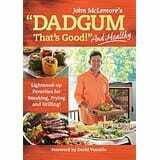 This fabulous book doesn’t just offer healthy meal options, but also teaches grillers how to use various spices and herbs, healthy oils, and even honey and citrus zests to make amazing homemade marinades or sauces. And each recipe includes nutritional information, so the griller can maintain a healthy diet, as can those they are feeding. 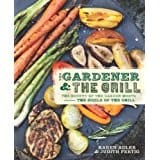 Straight from garden to grill, this unique cookbook on grilling marriesthe best your garden has to offer all year long with the smoky flavor of the grill. You don’t have to be a meat lover to enjoy the flavors of the grill. 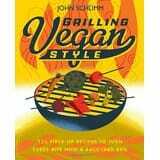 Not only does this cookbook provide 256 pages of incredible vegan recipes, it also gives advice on the perfect type of grill, utensils, and other equipment to buy, and expert tips on grilling techniques. 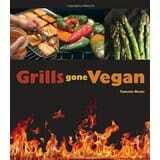 Only then can a person experience just how far vegan grilling has come. All 125 recipes in this cookbook are plant-based, from appetizers and salads, to burgers and sides. It even includes desserts and cocktails. 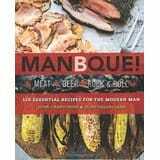 It also offers instruction on how to properly cook faux meats to preserve the flavor. 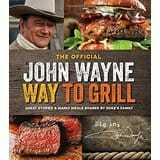 Packed with the Duke’s favorite grilled meals, photos from both his family and film life, and stories of one of America’s biggest icons, this is more than just a cookbook, it is the tale of a legend, and a movie hero. From the basics of creating and cooking the perfect burgers and steaks, to making sausages, sandwiches and tacos, to the strange yet enticing snails or pig tongue, this cookbook turns beginners into experts in no time. It even helps with beer pairings, for the ultimate guy’s night outdoors. Meathead Goldwyn brings you into the science of grilling and smoking. He explains the common myths and why we should dry brine instead of wet brining, why digital thermometers are a must, and why and when to choose charcoal over gas and vice versa. 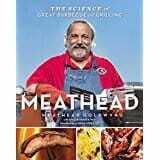 With the help of a food scientist, Meathead breaks it all down, so you know the ins and outs of grilling, not to mention of hundreds of photographs and recipes to savor! Grilling has been around since fire was discovered and mastered by the earliest of people, and over time, it has been tested and tweaked until the perfect recipes were discovered. All of these cookbooks contain these smoking and grilling recipes, and despite food preferences and health concerns, anyone can find exactly what they are looking for in at least one of them. So, bring on the heat of summer, and the flames of the grill.